Walter Onnoghen broke the news while speaking at the opening of the 2017/2018 Legal Year, and the swearing-in of 29 members of the Nigerian Bar Association conferred with the rank of Senior Advocate of Nigeria (SAN) in Abuja. The Chief Justice of Nigeria, Walter Onnoghen, yesterday announced a plan to create special courts solely for the purpose of hearing and speedily determining corruption and financial crime cases. Onnoghen broke the news while speaking at the opening of the 2017/2018 Legal Year, and the swearing-in of 29 members of the Nigerian Bar Association conferred with the rank of Senior Advocate of Nigeria (SAN) in Abuja. 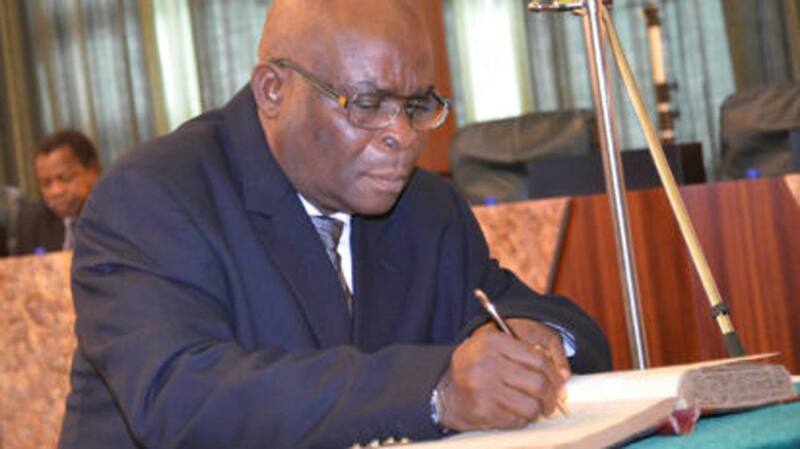 According to the CJN, all heads of courts have been directed to compile and forward to the National Judicial Council (NJC), comprehensive lists of all corruption and financial crime cases being handled by their various courts. “Where such cases come on appeal, to either the Court of Appeal or the Supreme Court, special dates on each week shall be fixed solely for hearing and determining such appeals. “In order for the NJC to monitor and effectively enforce the foregoing policy, an anti-corruption cases trial monitoring committee will be constituted at the next council meeting. “This committee would be saddled with, among other things, the responsibility of ensuring that both trial and appellate courts handling corruption and financial crime cases key into and abide by our renewed efforts at ridding our country of the cankerworm,” he stated. The CJN’s proposal marks a watershed in the ongoing war against corruption. In fact, it is the best support ever given by the judiciary in the seemingly unending efforts to make Nigeria a better place. Admitting that acts of misconduct by a few have rubbed off on the rest of the judiciary, Onnoghen warned it would not be business as usual “for the few unscrupulous elements in our midst. 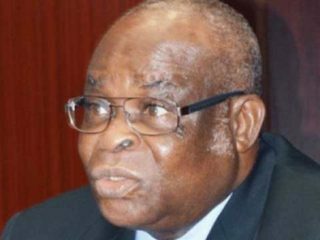 Justice Onnoghen urged members to stop offering bribes to judicial officers, noting that the full weight of the law would be visited on anyone caught in the act. In the course of 2016/2017 Legal Year, the CJN noted that a total of 1,362 matters comprising motions, appeals and judgements were considered by the Supreme Court. The CJN harped on the need for the judiciary to be independent, stressing that every appearance of influence or hindrance towards that must be resisted. “Following the constitutional provision which establishes this court as the Supreme Court of the land beyond which no further appeal may lie, it goes without saying that the decision of this court, by its force and tenor, is binding and final, based on extant legal and statutory provisions. Justice Onnoghen announced that heads of courts have been directed to clamp down on any prosecution or defence counsel that may indulge in the unethical practice of deploying delay tactics to stall criminal trials. Congratulating the newly appointed senior advocates, the CJN urged them to imbibe every virtue of excellence, integrity and diligence at all times. In his speech, the Attorney General of the Federation (AGF) and Minister of Justice, Abubakar Malami (SAN), applauded the vigorous process of reforms aimed at re-positioning the judiciary to play its constitutional role in a more humane and efficient manner. On his part, Chief T.J. Okpoko (SAN), who spoke on behalf of the Body of SANs, stated that the prosecution of many criminal cases in the country had continued to fail because of the apprehension of witnesses of the danger of appearing openly in court to testify. Meanwhile, lawyers have hailed the move by the CJN to create special courts for the trial of corruption cases, calling on all stakeholders in the justice administration sector to ensure the success of the court. Arthur Obi Okafor (SAN) said because of the state of corruption in the country, there was the need for a drastic measure to be put in place to curtail it. He said that the mere fact of setting up the court was not enough as there must be commitment by all the stakeholders involved to make sure that the monster was substantially defeated. His words: “When I talk about the stakeholders, I mean everybody that partakes in the trial process such as the police, prisons, lawyers and the judges themselves. If a matter comes to court and it is not properly investigated, what would the judge do? Also, a law teacher, Prof. Taiwo Osipitan (SAN) said for the creation of the courts to meet expectations, there must be support from all quarters. He enjoined all stakeholders to work harmoniously to ensure the success of the courts. According to him the desired objective would be achieved if those judges that would be appointed treat only corruption cases and the lawyers who attend the courts are also doing corruption cases alone.